Aviation Databases, owned and operated by Biz and Prop Review Monthly, are a leading provider of aircraft database software to the aviation world. We currently ship to more than 45 countries around the World and our Customer base is always expanding. As you look around the internet you will find several products claiming to be the best aviation database. We do not need to make that claim - we are the only aviation database that can call itself Aviation Databases. Please have a look at our site and make all the comparisons that you can with our competitors. Thank you for visiting our site and we look forward to welcoming you as a new and valued database user. 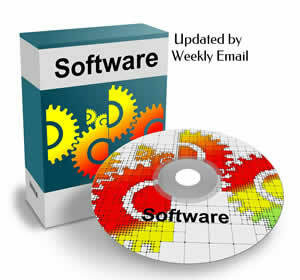 Biz and Prop Review Monthly have been producing their Aviation Databases software for over eighteen years. The current version contains over eighteen years of data research. The database is constantly updated and is acknowledged as one of the World's leading players in the Aviation Industry. Used by airports around the world, insurance companies, Government departments, aircraft owners and aircraft enthusiasts. Aviation Databases is guaranteed to keep you coming back for more through our simple subscription service. We are pleased to announce that Mode-S codes are fully incorporated into our database with more than 1.7 million records verified and indexed. Our database contains a validity checker that compares entries in your data against our software & identifies those that require updating or correcting. We run an exclusive Mode-S group for customers of our software, who own a Kinetic SBS-1 decoder. Runs on Windows. Runs on a Mac with Parallels Desktop. The current version of Aviation Databases has been tested and runs on all versions of Widos from XP through to Windows 10. For Mac users it will also work fine if you have Parallets Desktop installed.